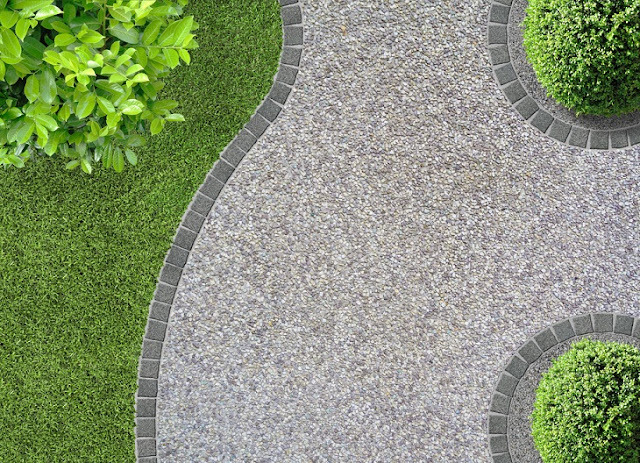 Permeable paving is a procedure used for paving pathways for vehicle and pedestrians. The top layer of the roadway or pavement is forever in contact with the pedestrians or vehicles. Examples of Permeable pavement include parking lots, roads, paths and other surfaces which are subjected to light vehicular traffic. Besides that, there are airport shoulders, residential sidewalks, emergency access lanes and private driveways. Permeable concrete pavers experts take care of these surfaces. The cement-based, rigid permeable concrete pavement is pervious in nature. The rigid permeable pavement serves as a surface layer which is vital for water filtration and storm water management. Under the top pervious concrete layer lies the second layer of the base rock that works as temporary storm water detention. The infiltration rate of high porosity concrete may fall into the range of 2 to 18 gallons per minute. Typically, the pervious concrete has very low quantity of fine aggregate. Pervious concrete should never be applied as a storage area for snow that may be full of debris and can clog the pervious concrete voids. Different types of permeable pavement carry varying abilities to reduce the number of pollutants and runoff volume. Why you need Permeable Concrete Pavers Experts? Permeable paving traps suspended pollutants from storm water. When rain falls, the pervious concrete filters sediments and pollution from the storm water and allows on-site infiltration. However, as permeable concrete layer functions as a filter, it needs to be cleaned and maintained periodically. Thus, you need to hire professional services for the permeable concrete pavement to keep the roads surfaces in good condition. How can you Maintain the Permeable Concrete Pavement? One can follow a schedule for minimal maintenance of their concrete pavement. For example, it is best to avoid using asphalt or any other kind of tar-type sealers on pervious concrete. Make regular inspections to ensure that the porous pavement is free of debris and sediments. Adjacent grassy areas should be maintained every month. Sweeping or vacuuming can help keep the pervious pavement clean. Any flow of excessive water toward the pavement should be diverted. Permeable concrete pavers experts should be called in to inspect the pavement surface for deterioration or spalling. One may need to go for a deep cleaning, especially if they have ignored the routine maintenance and no periodical cleaning has been done. Over time, the void structure system is likely to get clogged debris which can lower the infiltration rate by more than 25%. Neglected projects trigger the need for deep cleaning and unclogging by permeable concrete pavers experts. This is a highly technical task that needs experts and their specialized cleaning equipment. The permeable concrete pavers experts use simultaneous pressure washing and vacuuming with specialized equipment. The aim is to rebuild the pore structure of pervious pavement. Any use of chemicals is done with great care to prevent damage to the biological organisms and the aquifer within the concrete pavement. Permeable concrete pavement tends to get weathered over time and usage, depending on the traffic. Although the pavement looks very similar to the nonporous materials, its properties and environmental effects are very different qualitatively. As the permeable material allows storm water to infiltrate the surface areas and to the impervious layers below, it is essential to control the storm water and improve the quality of filtering pollutants in the substrate layers. Always hire paver experts for the task as you just cannot afford to take a risk with your pavement surfaces. Keep the pavement in good condition so that the surface catches precipitation and surface runoff effectively.